2002 I Love Lucy Barbie Lucy Gets a Paris Gown Lucy Doll NEW! 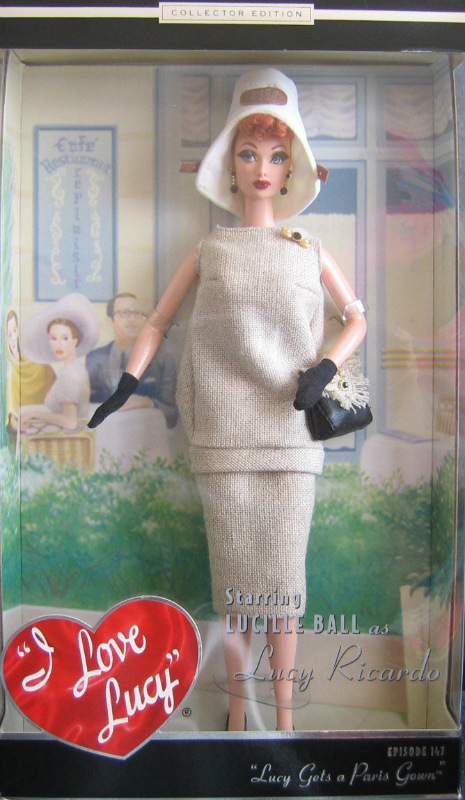 From Episode 147, Lucy Gets a Paris Gown Barbie wears a tan tweed dress with matching hat, black gloves, black purse, black pumps and earrings. Brand new and never removed from the box which is in good condition!